PUBLIC BETA NOW LIVE! Click here to download Dungeons & Destiny beta v0.7.4! Lykos sits atop the Tower, listlessly staring into the void just beyond the reach of the City's walls. The Traveler hangs in the sky, stoic, vast...dormant. The irony is heavy upon his chest as he wonders if, truly, this was all due to fate -- or if it was, perhaps, a simple roll of the dice? 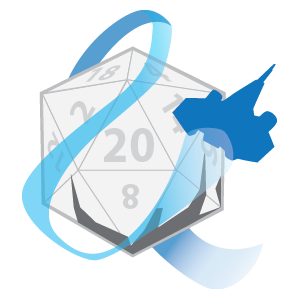 Dungeons & Destiny, or D&Destiny, is a free tabletop role-playing game based on the 5th edition core rules. What started out as one person's desire to possess a pet cabal warbeast in a 5e game has grown into a project spanning multiple writers, artists, and game masters, all intent on delivering a fun and exciting Destiny experience in the tabletop setting. Our goal is to provide both the Destiny and tabletop gaming communities with a product that allows them to explore Bungie's franchise in any way Guardians see fit. Through the support of our Patreon community and the Destiny and tabletop communities as a whole, our team is working diligently to bring all of the lore, characters, and encounters of Destiny to life in a way which should feel familiar to veteran gamers, and allow newcomers to dive right into the world of Destiny. D&Destiny is more than just a rulebook and game system. It is a compilation of the hard work and efforts put forth by our production team, game masters, and testers. From custom cover art to professional writing, Patreon support brought D&Destiny from a basement passion project to a professional work of art in its own right. Every dollar donated goes back into supporting the project and the amazing community it was made for.